The breathtaking beauty of Lugano is perhaps the perfect setting for romance to blossom. Add the intensity of a boarding school setting with the mystery of others from foreign lands and it’s no wonder so many relationships begin at TASIS. In the past six decades, the School has witnessed countless crushes, first dates, emotional arguments, breakups, proposals, and even weddings! We caught up with a few couples whose TASIS romances have stood the test of time. Su-Yi Chao ’00 and Chia-Wei Yang ’00 attended TASIS from 1997-2000. Chia-Wei is notorious for serenading Su-Yi from his dorm room in De Nobili to hers in Scuderia! They now live in Taipei and have two children, an 8-year-old boy and 4-year-old girl. Chia-Wei owns a real estate company named for their son Yang Ting. The couple met 20 years ago en route to TASIS, as Su-Yi explains below. I was only 15 years old when I met Chia-Wei. I met him at the Taiwan airport when everyone took the same flight to Switzerland. He had this yellow hair and wore a bright orange t-shirt and black leather pants. I don’t think it was love at first sight! before Valentine’s Day. Just kidding! We were confused. I guess we were too young to know how to love a person. We thought maybe our relationship would last longer if we stayed friends. So most of the time, we were just friends. It was when we were friends that I noticed his good heart. For example, when I moved dorms from Scuderia to Casa Norma, Chia-Wei was the first one standing in front of my dorm to help. Also, during our second year at [Ski Term in] Crans-Montana, I gave my gloves to a new student, then my hands became very cold and sore. Chia-Wei saw this and gave his gloves to me to warm up my hands. Chia-Wei was my Secret Santa one year and gave me chocolate and a beautiful scarf. I was so surprised when I found out. Our relationship started seriously during our trip to London when we were 17. We fell in love for about four months, but we were still too young to handle a relationship. Though I remember when his volleyball team traveled to the SGIS championship (which they won, and Chia-Wei won MVP! ), he brought me back a stuffed toy. It is our little girl’s toy now. found a nice apartment for us, and I learned to cook—I couldn’t even make rice!—and made dinner every night. Chia-Wei loved eating at home and used to invite friends to our place for dinner. He would always finish everything and praise the meal no matter how badly I cooked! I think that was the time we both knew—we were around 20 years old. problems together. The time of our friendship built up our love and we became stronger. Our love evolved in stages: friends, then our relationship, then our family. We would like to thank TASIS for bringing us together. The lifestyle at TASIS made us and our friends so close, taking our relationships to a different level. This January we went back to visit TASIS. Mr. Eichner gave us a lovely campus tour. I hope when our kids go to TASIS in the future, they will have beautiful memories and will share their stories with us. When our little girl goes to TASIS, I hope she will find someone who admires her, but I will tell her that in order to love someone else, you have to love yourself first. Jeff Boyle ’86 and Maggie Hammad Boyle ’86 met in 1984. Jeff attended TASIS for his sophomore through senior years and Maggie her junior and senior years. They got married in 1995 and live in Katy, Texas, with their children Gabi (18) and Jacob (16). Do you believe in love at first sight? Or a slow burn? boiled some noodles and slapped on some butter, salt, and pepper. My roommate (Rob “Lippy” Lazar ’86) and I took the noodles out and offered them as an ice-breaker. Maggie and I were destined to be together from that moment on. Maggie: Yes I do, because when I first saw Jeff I thought he was the cutest thing ever and thought I should marry him someday! Tell us about your first date. Jeff: I don’t really remember a first “date.” Given the close quarters, we were always together. I remember a lot of walking and talking, whether it was on campus or downtown at the park. I remember cutting the yellow roses outside the Bubble and taking them to her. 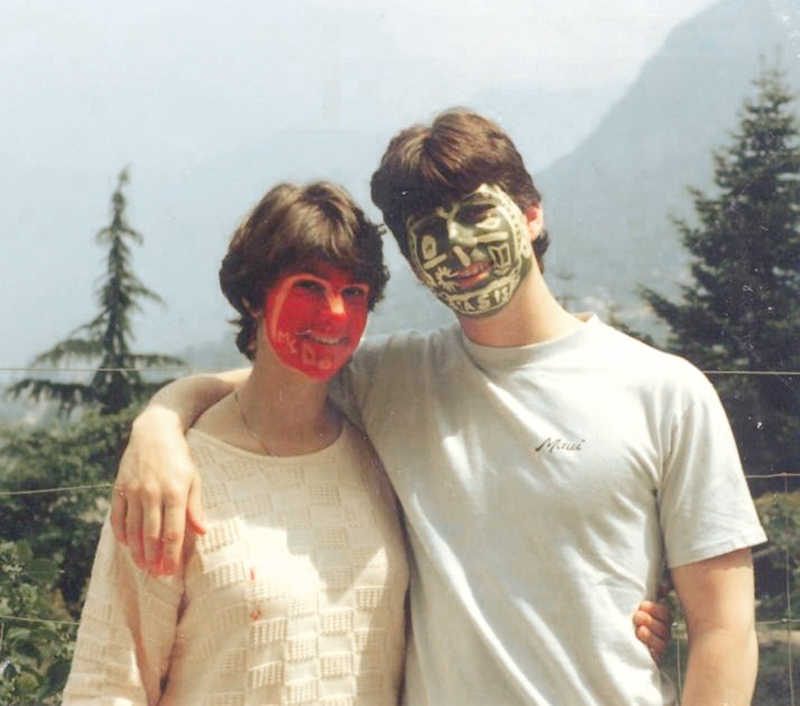 Maggie: Jeff and I spent the first week together a lot and hung out during the trip to Valle Verzasca. We hiked up a bit to see some waterfalls, and I thought he was going to kiss me then, but he didn’t. When we got back to TASIS we had a dance in the rec center. He asked me to be his girlfriend as we swayed to “Purple Rain,” and we had our first kiss! Describe when you knew he/she was The One. Maggie: This is tough to answer because I thought it when I was 16 years old and couldn’t possibly have known. But I would say it was definitely when we got back together again in the middle of college and then I moved to Houston, Texas. What is it about TASIS that leads to such close friendships and even love? Jeff: Those years are transformative for any teenager. Being removed from our parents and having to find new support groups at that age created strong bonds. Maggie and I have been married for 21 years and still share these close bonds with many of our classmates. We don’t see them often, but every time we are together, it seems like we were in Lugano yesterday. Maggie: I think it was the fact that we were all so young and without our families that made us become such close friends with the other students. My best friends at TASIS are still my best friends today. We lived in close quarters with each other and became close friends quickly. I feel like many other people feel that way about their college friends for that same reason. Anyway, it was a wonderful experience in such a beautiful place, and I can’t imagine where I would be today if I hadn’t attended. Melody Tibbits Zanecchia and Milo Zanecchia ’08 met while working at the TASIS Summer Programs. They were married in the summer of 2016 on Isole di Brissago on Lago Maggiore. 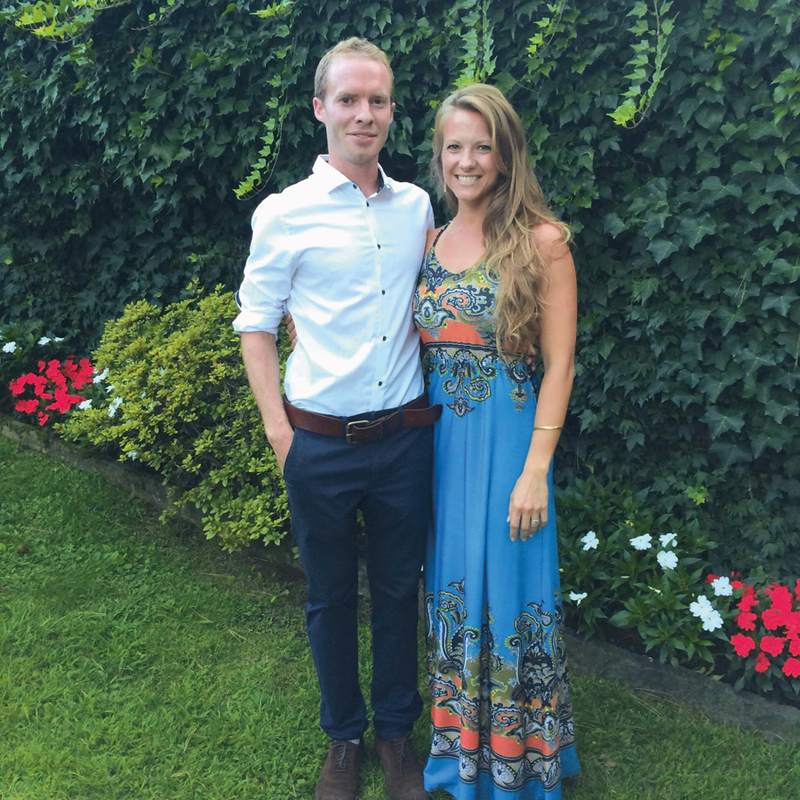 They live in Montagnola where Melody teaches music at TASIS Elementary School and Milo is a freelance videographer and photographer who has made numerous marketing videos for TASIS. “It was love at first sight for me, but I was too shy to talk to her for the first few days,” Milo said of first meeting Melody during the summer of 2009. This article was originally published in the 2017 TASIS Today. Did you find love at TASIS? We’d love to add your story! Email alumni@tasis.ch.